As you can see, I came waaaaay short of my 2,000 mile goal for the year and a bit short of my 1,000 mile yearly average. 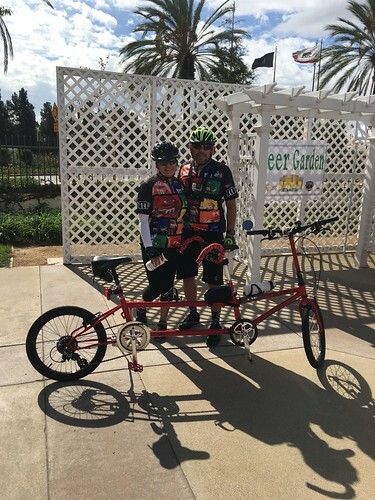 But here is the thing, this year I focused more on riding tandem with my wife and also mountain biking. 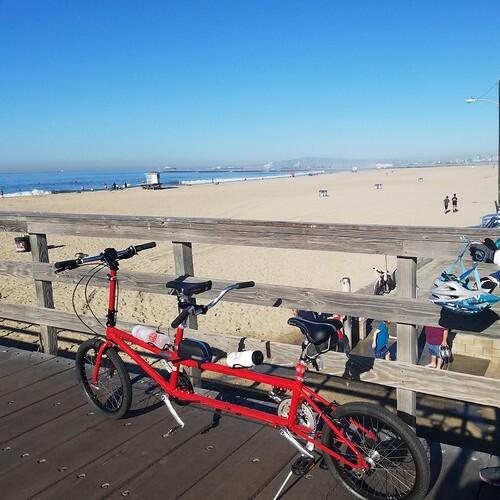 In fact, out of the 85 rides 15 rides were on the Tandem and 20 rides on the Mountain bike; both of these activities yield about 15 miles per trip. No biggie, I love spending time riding with my wife and also riding places where cars are not out to squash me. Also, more than 20 rides were on the stationary bike (yes, I do log those rides too) and those yield zero miles but helped me stay fit. Sadly, my bike commuting miles really went down this year; roughly 50 miles were spent riding on my commuter bikes. My lack of commuting miles also affected the number of posts on this blog; after all this is a bike commuting blog! I did manage to ride different types of bike on the train; my Spicer CX, the Awnry Jackson and lastly the Giant Expressway folding bike. 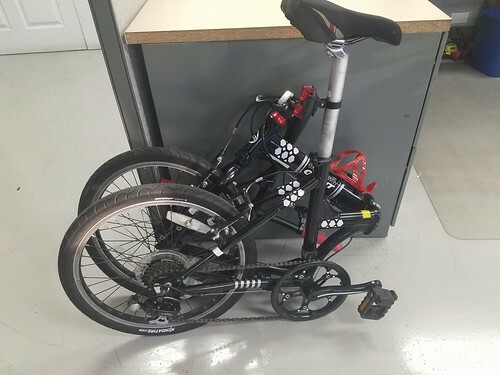 I found that riding the train with a folding bike is the way to go, just fold the bike and sit down! So what are the goals for 2018? Ride more of course! 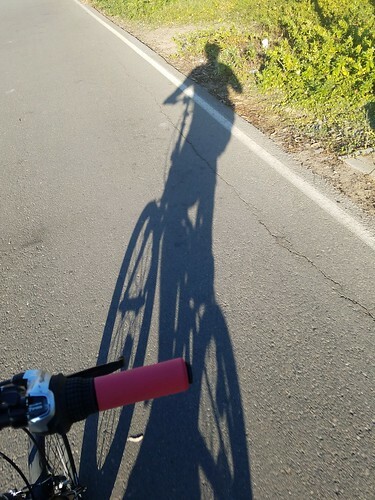 Hello Bike Commuters and fellow night riders! Dark afternoons have descended upon us so it is time for us to start using our lights for us to see AND to be seen. 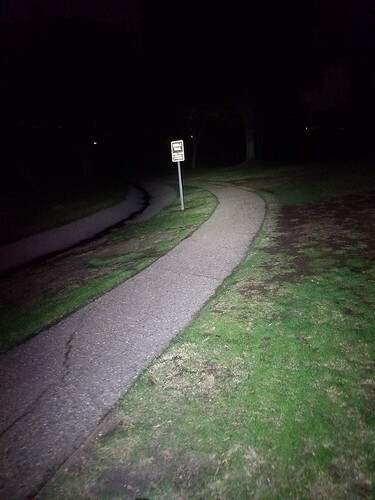 It is unbelievable how many cyclists are riding in the dark with no lights, no reflectors and dark clothing! There is no excuse for riders to be riding in the dark, lights have become more compact, more powerful and more affordable. 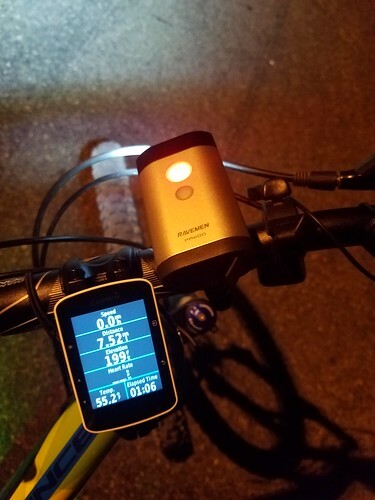 A great example is the Ravemen PR600 rechargeable light which sells for about $55.00 in Amazon. 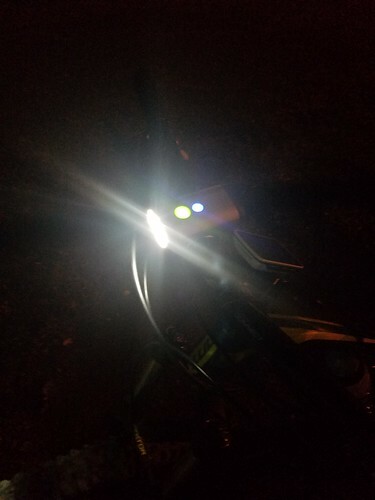 Ravemen sent us this light for us to test during our dark commutes mainly because of its DuaLens design which features a low and high beams. 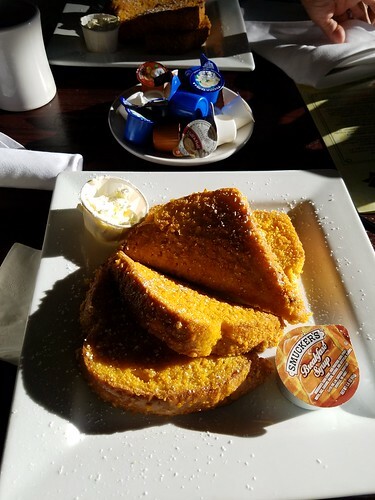 In my opinion, the low beam is one of the greatest features of this light. 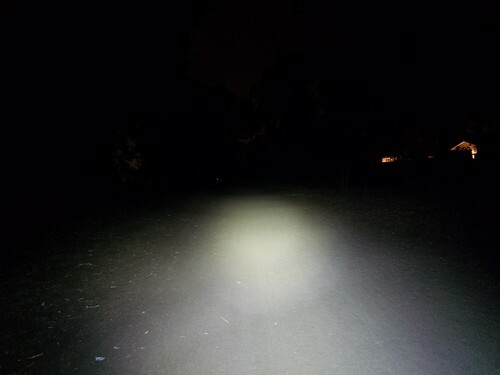 The “low” beam’s output is a generous 400 lumens and it is quite wide. Another cool feature of the Ravemen PR600 is the “remote button”. I thought it was kind of gimmicky but once I started using it I totally loved it. The button allows you to keep your hand on the grip and change modes without having to mess with the button on top of the light. The last feature that I also really liked was the pulsating mode. The Ravemen PR600’s wide beam pulsates so you can ride during daylight and be seen by traffic and pedestrians. Pulsating mode for riding during the day. 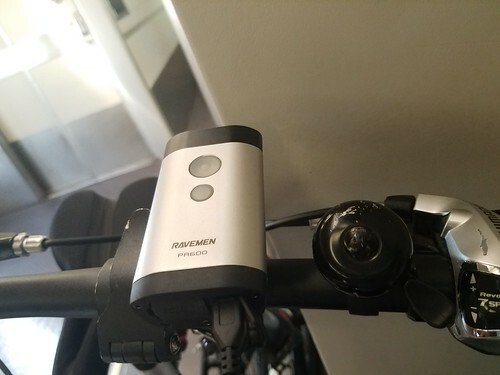 Overall, the Ravemen PR600 is great for bike commuting and I would definitely recommend it. For more information, please visit www.ravemen.com. To purchase this light in Amazon.com for $54.95, click here. 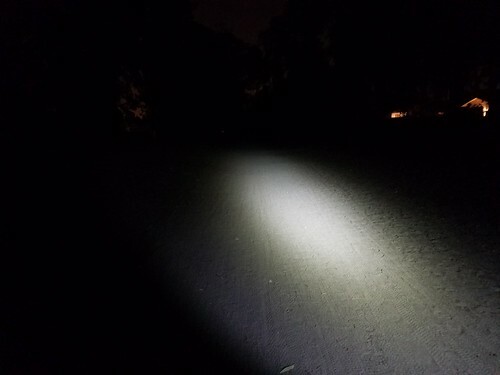 Disclaimer: Ravemen sent us this light to review at no charge because they felt that this product would benefit bike commuters. We were not compensated to write this review. 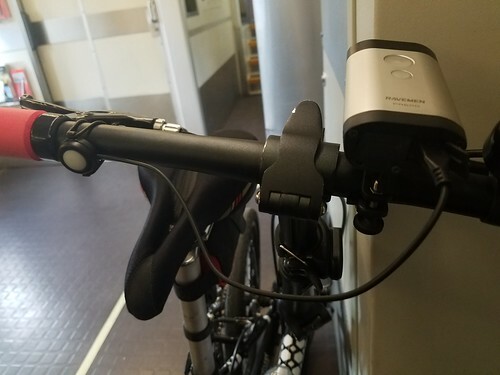 Hello Bike Commuters and fellow folding bike riders! 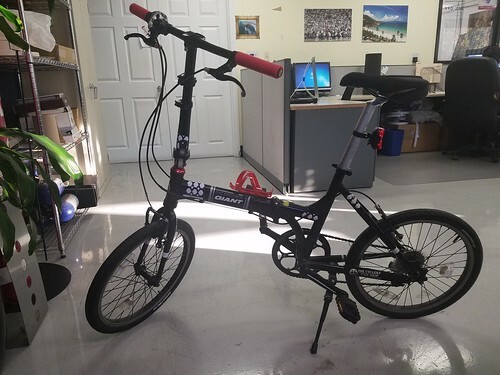 I finally had the chance to ride the Giant Expressway folding bike to work and I am happy to report that my train-bike commute got easier and more convenient. I love the fact that I can fold the bike, stash it inside my sedan’s trunk, park inside the covered parking lot and be ready to ride to the train station in seconds. 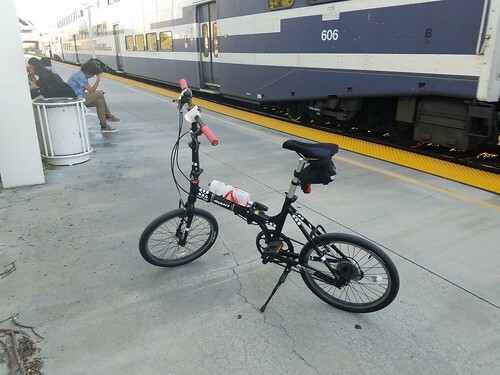 Another HUGE plus is that I get to sit next to my folded bicycle, no need to use the crowded bike racks and play the “train stop dance”, if you ride the Metrolink, you know what I mean. 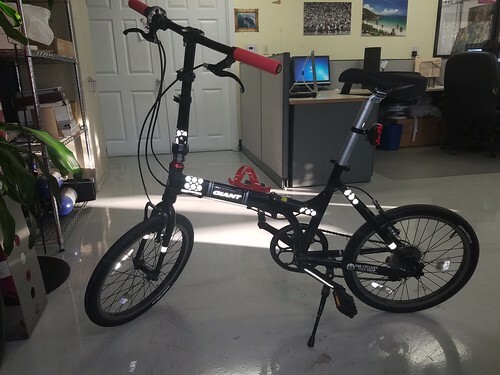 The bike also takes less space at the office, in fact, I get to park the bike in my cubicle right behind me. 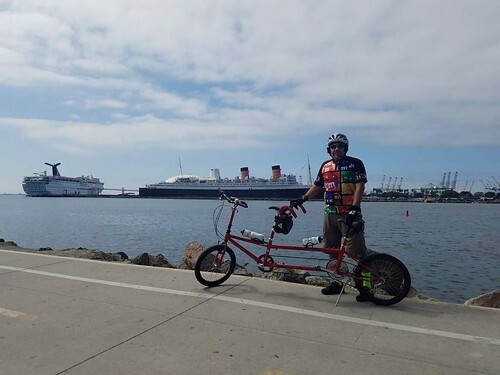 However, riding a small bike also has its negatives such as the never ending teasing that I get: Clown bike, little people bike, Junior bike, kid bike, etc. It’s OK, bike commuters always get teased anyways. 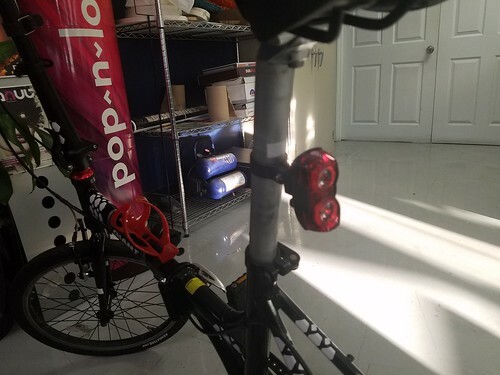 I also have to get used to the bike’s performance, or lack of thereof, max speed on this bike is about 15 mph so I have to pace myself so I won’t sweat too much on my way to the office.